Home / Football / Behind The Gridiron / 5 STAR HS RECRUIT “MICAH PARSONS” INSPIRATIONAL MESSAGE TO THE YOUTH!! 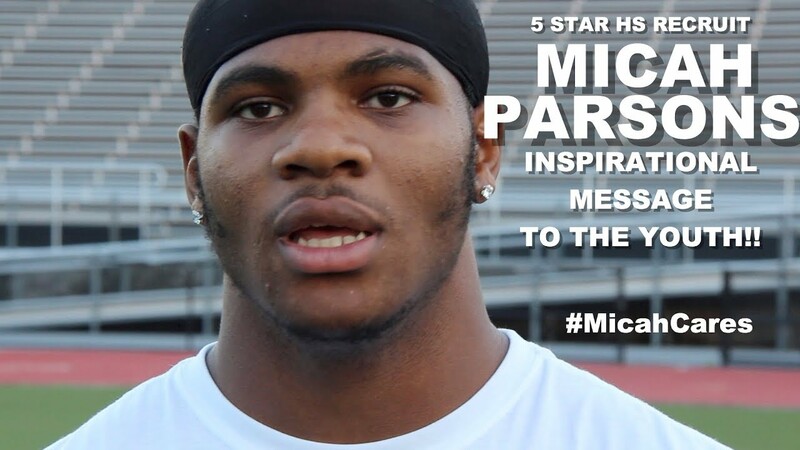 5 STAR HS RECRUIT “MICAH PARSONS” INSPIRATIONAL MESSAGE TO THE YOUTH!! ← Previous Story HARRISBURG COUGARS “BEHIND THE GRIDIRON” feat “MICAH PARSONS” (5 STAR RECRUIT), More!